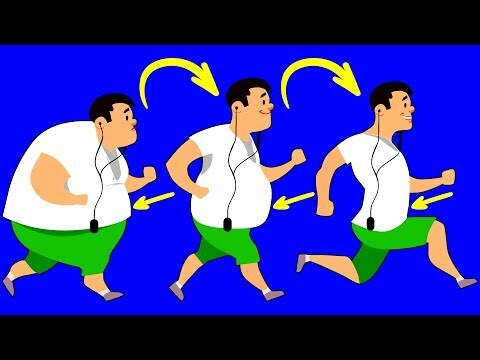 (WATCH VIDEO) How to Lose Weight Fast. Intermittent fasting (or I.F.) is the most popular weight loss program today. How can you use it to drop a few pounds quickly and get the body of your dreams. Let’s answer the most important question here: is it possible for the human body to endure long hours of fasting on a daily basis? Even celebrities like Hugh Jackman, Chris Hemsworth, and Benedict Cumberbatch have hopped on the I.F. bandwagon. Dr. Kevin Gendreau, a primary care doctor, claimed that he lost 125 lb in 18 months thanks to intermittent fasting. Before I.F., he weighed 300 lb. -It was popularized by the American writer Upton Sinclair in the 1900s. Sinclair practiced juice cleansing and fasting at the same time. -Intermittent fasting is not a diet plan but an eating pattern. With I.F., you don’t starve but still have to eat and drink, but it should be time-restricted. It’s not dangerous for you because it doesn’t leave you with no food at all for long periods of time. -You can try out one of the pattern: the 16:8 pattern, the 5:2 pattern, “Eat Stop Eat", Alternate day fasting, and The Warrior Diet. -Over the course of time, your body will eventually overcome the side effects. In the fasting period, your body will get the energy from burning fat. The longer you fast, the more fat is burned in the process. -It can prevent type 2 diabetes and promote insulin resistance. It is good for the heart. It may prevent cancer. It improves brain function. -Children and teens, people with diabetes, low blood pressure, underweight, pregnant, breastfeeding, or people trying to conceive should consult a doctor before trying it out. -You should also remember that you can’t lose weight through intermittent fasting alone. It is also safe to exercise while fasting , but it takes time to adjust to it. Sacrifices must be made: saying goodbye to your favorite greasy foods or not eating from time to time. Dr. Berg talks about the power of intermittent fasting. This is not a diet, but a pattern of eating. Because it triggers Growth Hormone and inhibits insulin. The purpose of intermittent fasting is to lower insulin, take the stress off insulin and the gland that makes it - pancreas, and thus restore your metabolism. This can heal a plateaued set-point. If you have fat in your mid-section, then we know you have high insulin. Tuesday the next day at 12 p.m.